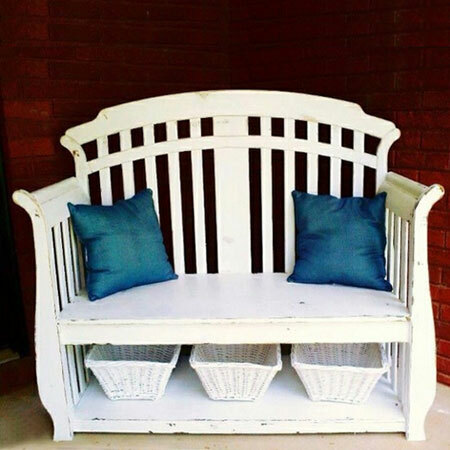 No need to pack away or toss out that old cot or crib, the Internet is full of ways to transform an old cot or crib into practical furniture. 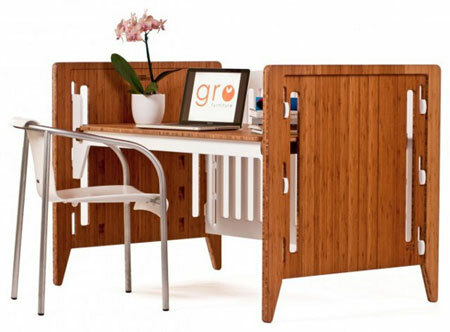 We have stumbled upon a cot or crib that becomes a desk, a cot that is transformed into a day bed, and a crib that easily converts into a bench. 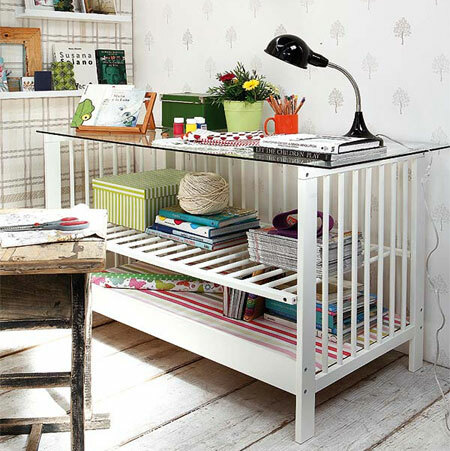 Spotted on Babyology, this dual purpose cot or crib easily converts into a stylish desk that would look good in any home office or study. Need a craft of hobby station? 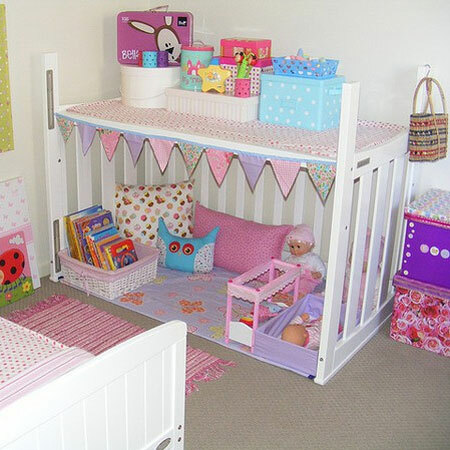 Love this idea for popping 10mm-thick safety glass on top of an old cot or crib. The removed side panel becomes an integral shelf. Is your child ready to move out of the cot and into a bed? 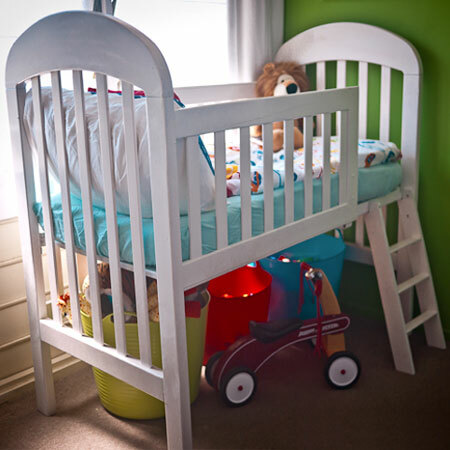 Rather than try to squeeze a bed into the small nursery, Adrial at the mommyhood memos turned a cot into a loft bed for her son. The design also allows for much needed storage space underneath the bed. ABOVE: This repurposed cot becomes a little playhouse, providing enough space for play for storage. To make the transformation complete I would also cut off the legs at the top. 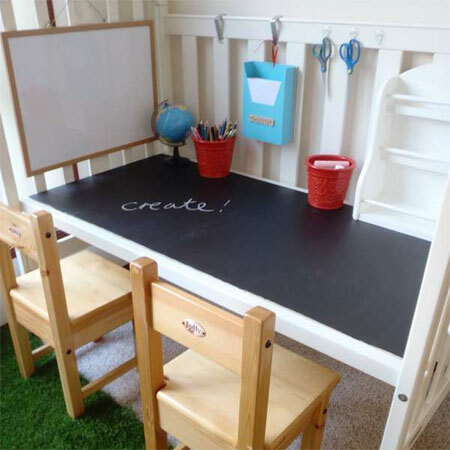 BELOW: Love this idea for turning a cot or crib into a kiddies craft centre. The top of the table is painted with chalkboard paint. 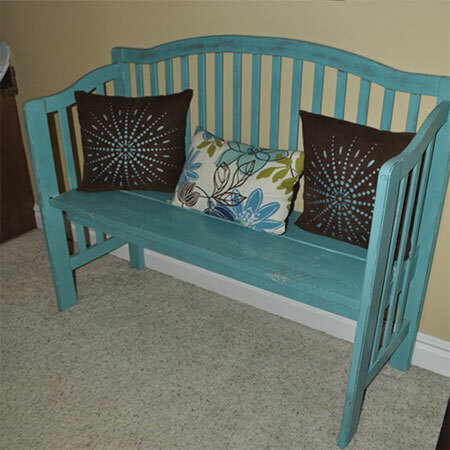 Jen at scissors and spatulas used the sides of an old cot to make this charming this bench for her entrance hall. 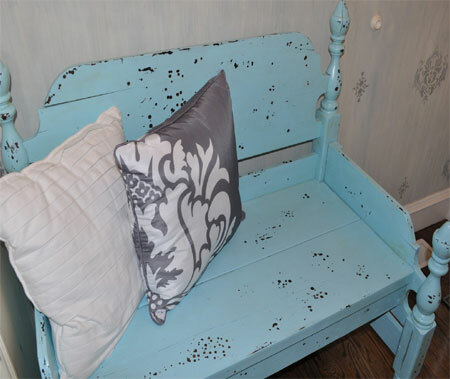 Cassandra Designs repurposes all types of vintage furniture. 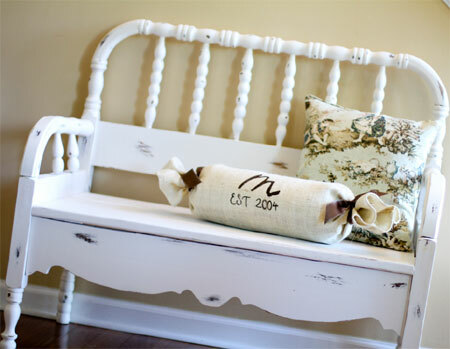 She particularly enjoys turning old cribs and cots into unique benches for her clients.